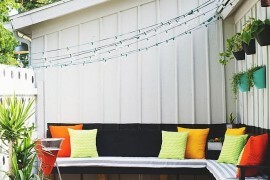 You may be wondering why I’m focusing on the outdoors when that’s typically a spring project strategy, especially when it comes to DIY endeavors. But for a lot of us, the cooler temps that fall brings makes this the perfect time of the year to enjoy the outdoors and improve our surroundings. 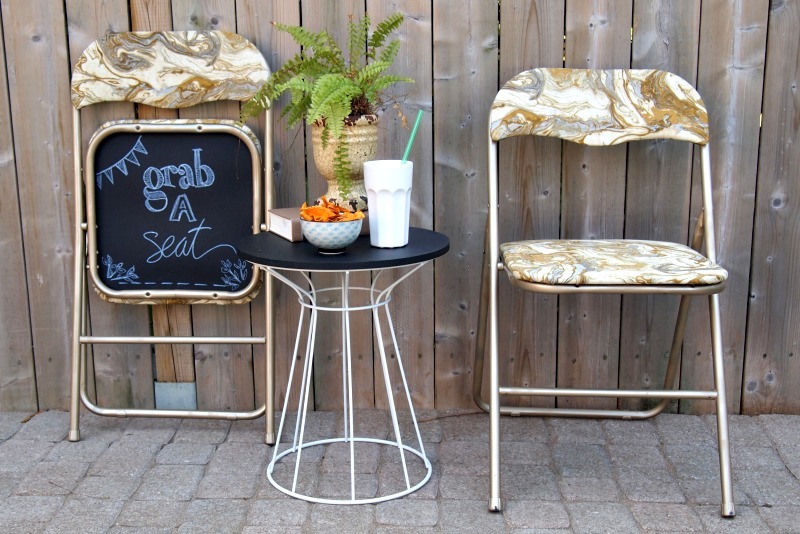 Which is why this customized bistro table idea from Design Love Fest is so ideal for fall. The ingredients of choice: painter’s tape (to create the shapes) and spray paint. 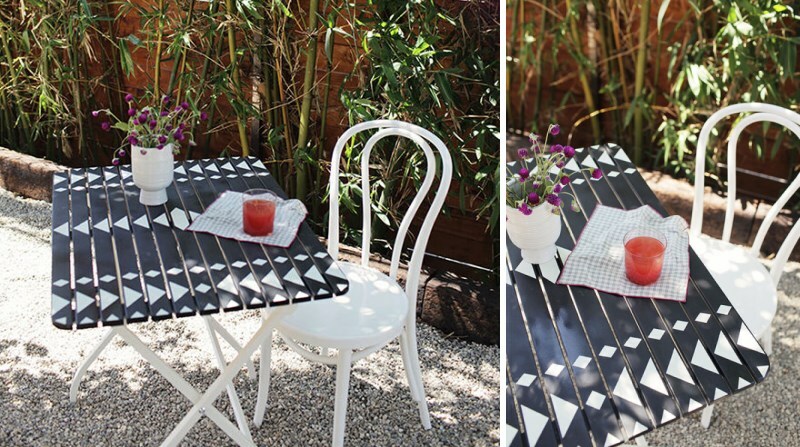 Our own talented DIY blogger Thalita recently posted this DIY Folding Chair Makeover right here on Decoist. As a bonus, these chic chairs have chalkboard-style bottoms. 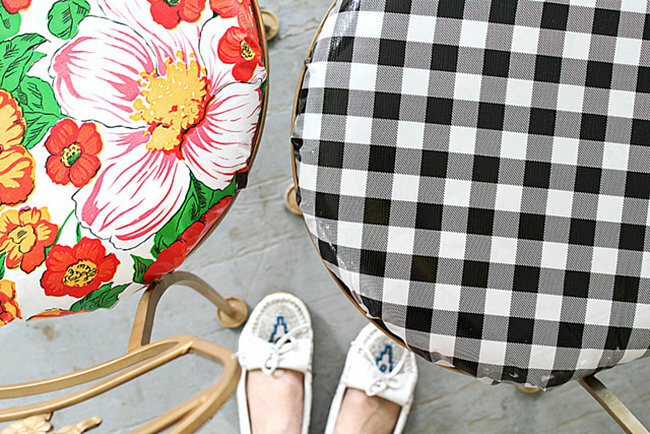 Spray paint and the fabric of your choice can transform an old folding chair into something truly chic! Speaking of plants, fall is a great time to celebrate container gardening. I don’t know about you, but once the temperatures start to drop and winter’s arrival is on my radar (even if it’s a few months away), I don’t feel like planting a bunch of new greenery in the ground. So I turn my attention to planters. After all, they can easily be brought indoors during the freezing weather. And if you want to make them permanent indoor fixtures, there’s no better way to fill your home with life as the outdoor leaves change color and fall. 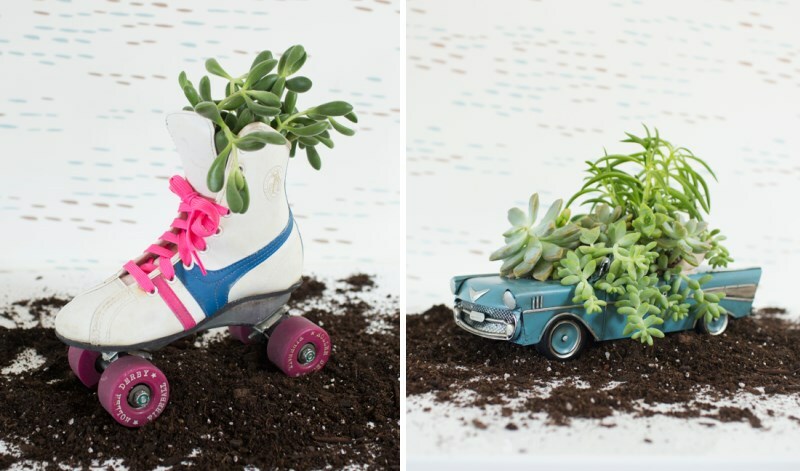 This Vintage Planter DIY from Oh Joy! is easy to pull off–and super clever! 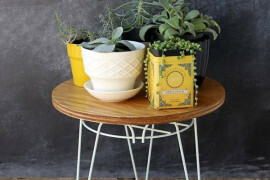 Vintage DIY planter idea from Oh Joy! 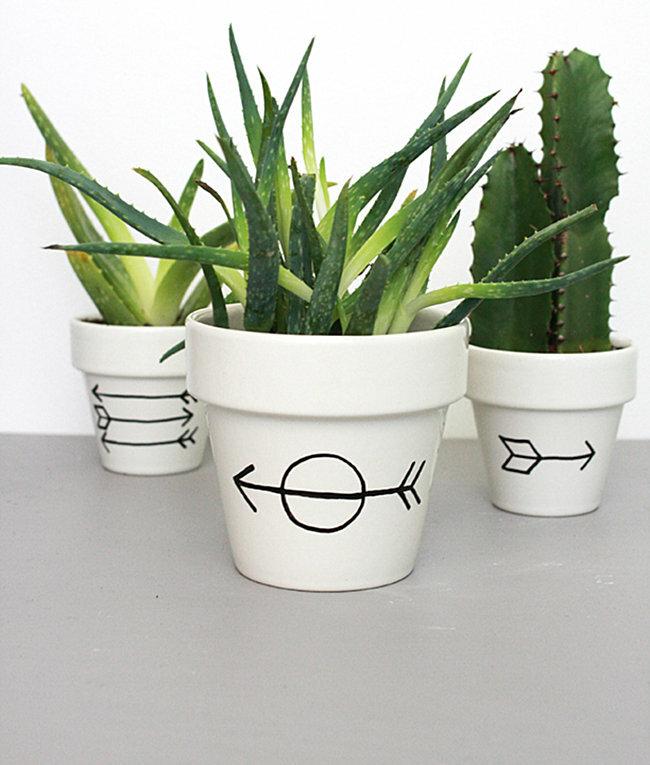 Looking for an easy way to update a basic white planter with a paint pen? 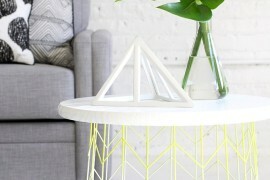 Check out the tutorial for this Simple Arrow Planter at The Band Wife. Something this stylish is almost never this hassle-free! Two-toned decor never goes out of style. Celebrate the current revival of metallics with these DIY Painted Terra Cotta Pots from Lovely Indeed. 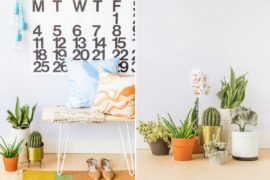 Not only will this tutorial show you how to use spray paint and acrylic paint to your advantage, it will point you to the best path for making this planter a hanging one. There’s nothing like bringing the outdoors inside as fall approaches. Green plants purify the air and lift the spirits, especially on the chilliest, dreariest of days. 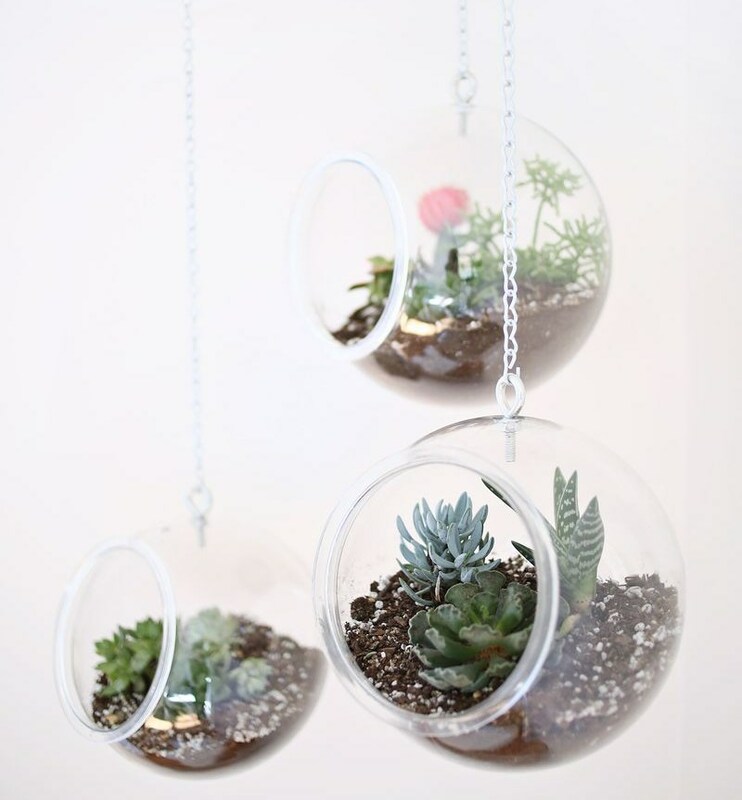 Make a modern statement with these DIY Hanging Planters, crafted from plastic fishbowls. Now that’s some serious bang for your buck! This innovative project idea comes from A Beautiful Mess. But surely the large colorful wall hanging below is time-intensive, right? Think again! 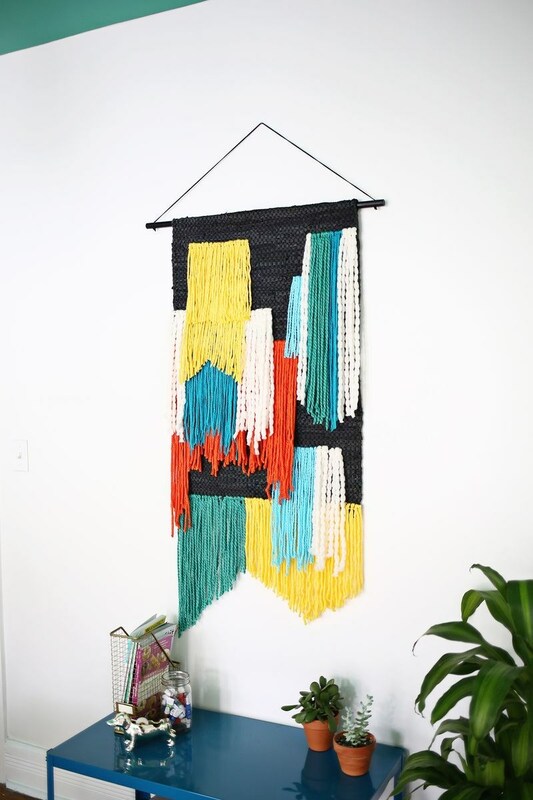 This DIY Large Tapestry Wall Hanging from A Beautiful Mess couldn’t be easier. Especially since it involves adding rows of yarn to a store-bought woven rug. Amazing! 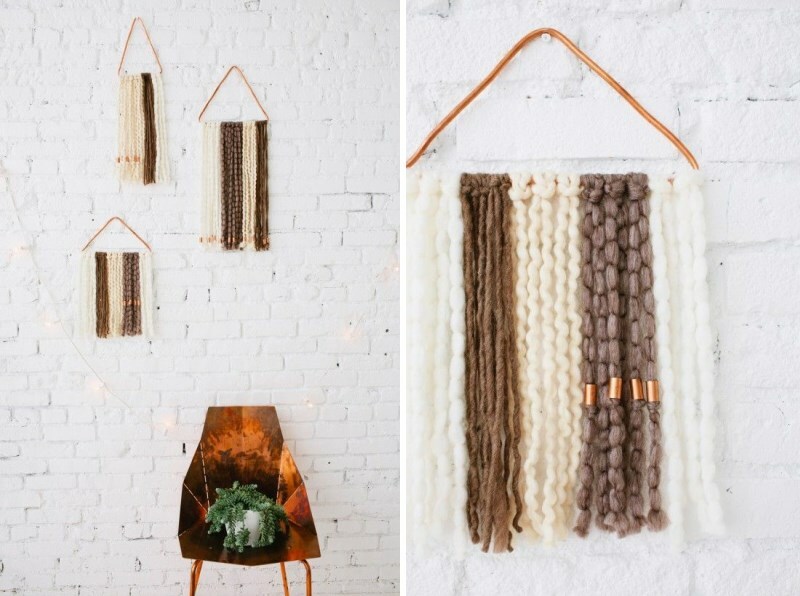 If you’re not into shortcuts and you want to learn the craft of macrame, check out this DIY Macrame Wall Hanging tutorial from A Pair & A Spare, created by May of Himo Art. 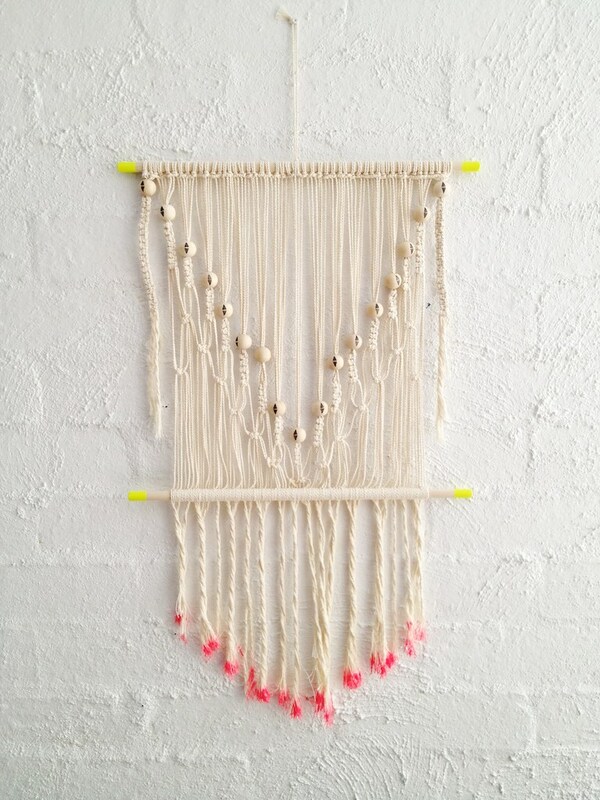 It’s a bit detailed but well worth the time, especially since it brings macrame into the 21st century with a touch of neon. You know how animals gather and store food for the winter? Take your cue from nature and put together a specialty cart stocked with goods. 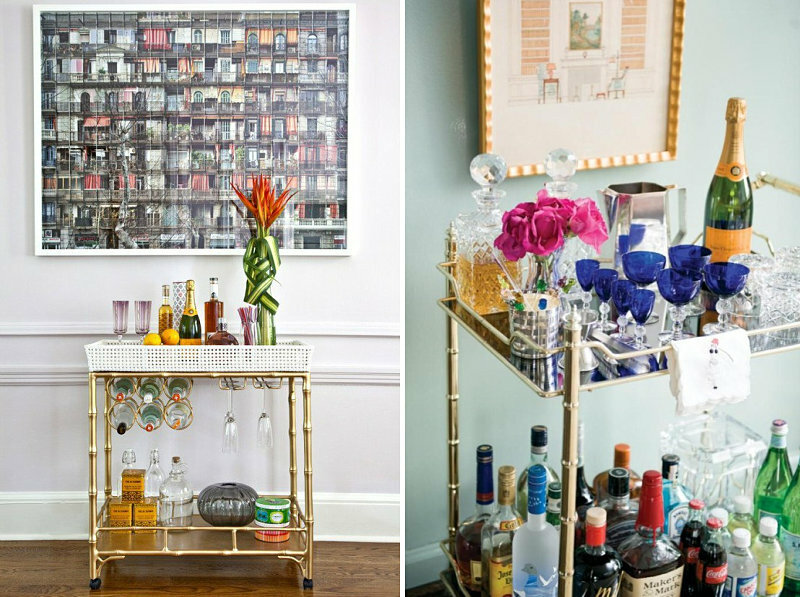 Today’s most popular cart variety: the bar cart. Head on over to Mr. Kate for tips on home bar organization. You’ll definitely have a jump start on the holidays when you’re finished with this project–entertaining made easy! With the weather turning chilly, there’s no time like the present to stock a gourmet coffee cart. Yes, a coffee cart! 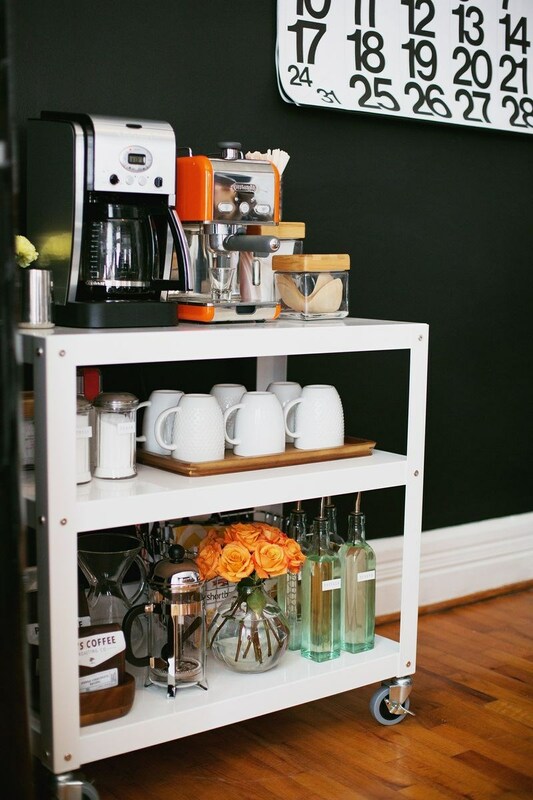 This office coffee cart from A Beautiful Mess features a variety of coffee options, as well as filters, an espresso machine, a french press, a coffee maker, mugs, sweeteners, syrups and more! For a unique take on the cart concept, why not put together a popcorn cart? 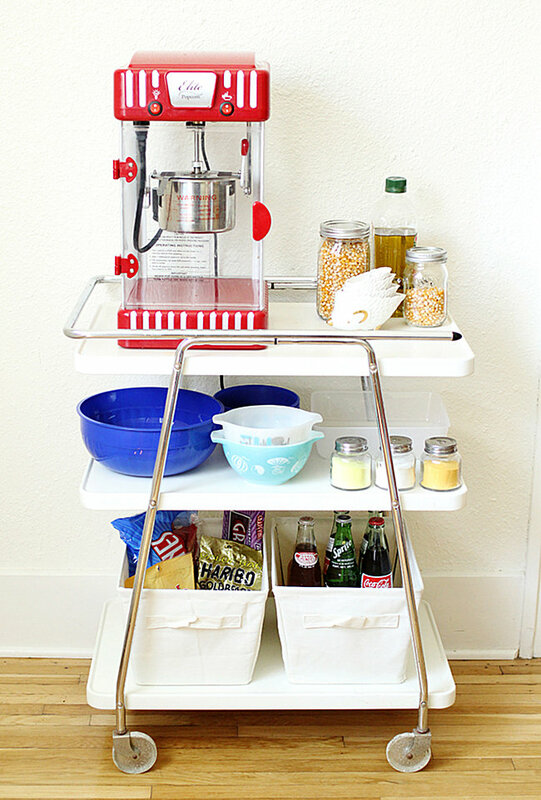 This DIY popcorn cart from Skunkboy features an eye-catching popcorn maker, kernels and oil, as well as butter, white cheddar and nacho cheese flavorings. Then there are the fun “extras” that make popcorn hour all the more enticing: soda, gummy bears and other goodies! 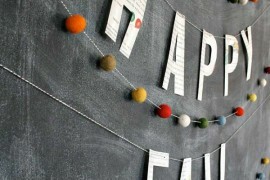 There’s nothing like a fall DIY project to introduce your interior to the latest trends. This fall, an array of forms, materials and decor statements are making waves. Such as round shelves. In fact, I’m determined to craft a round shelf for my bedroom makeover currently in progress. 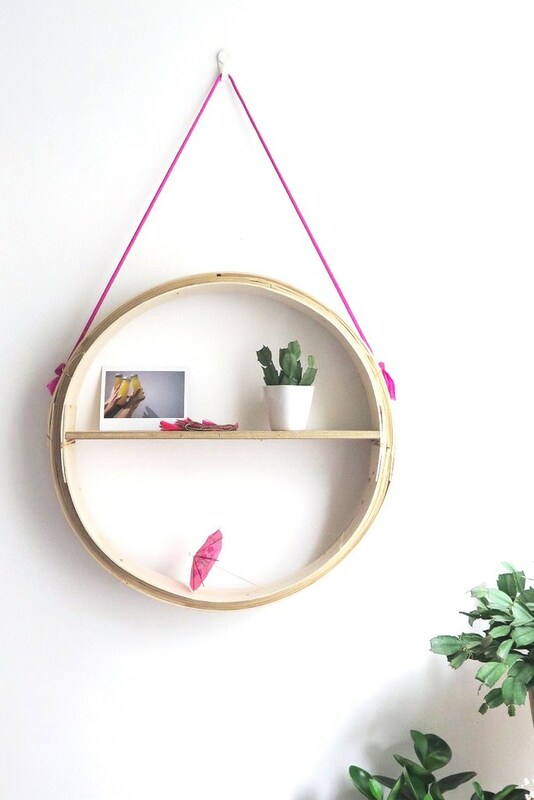 This DIY Round Hanging Shelf from A Pair & A Spare just might be the answer. The circular frame comes from a dim sum steamer basket! 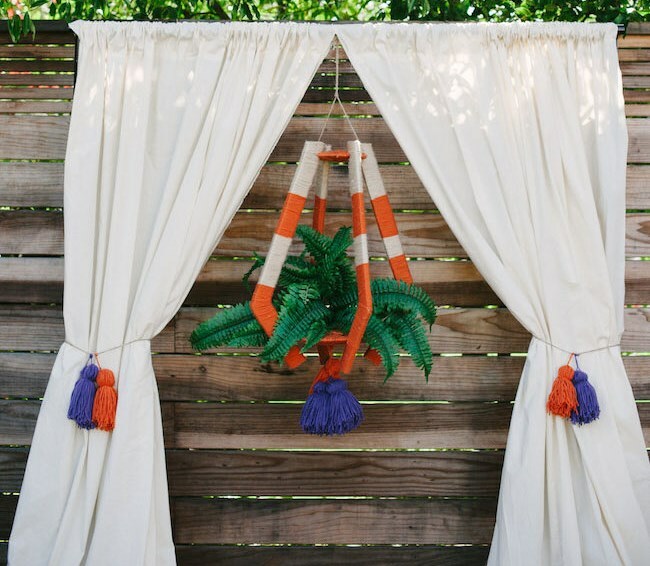 Yes, hanging decor is definitely having a moment! 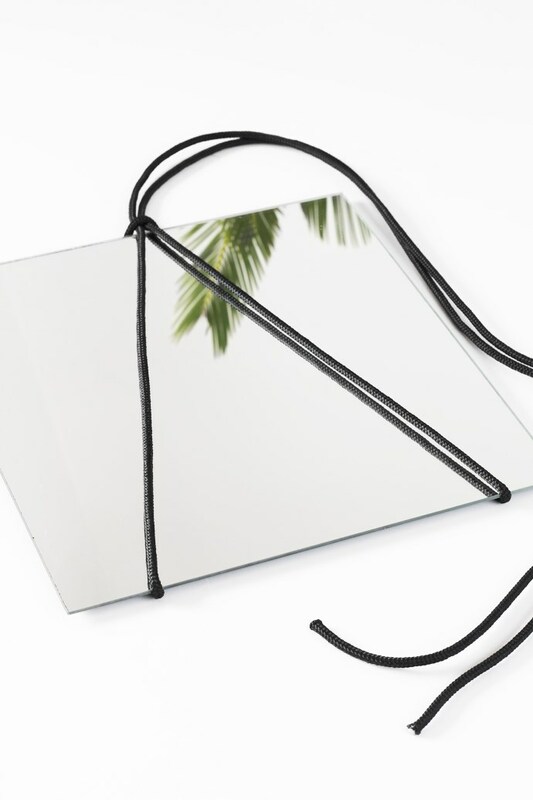 And with an inexpensive mirror and some rope, you too can have an instant dose of modern style in your room of choice. 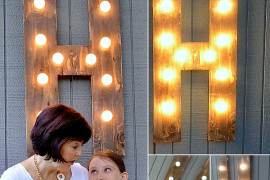 The tutorial for this Mirror Hanger DIY can be found at MyDubio. Another one of today’s top trends? Marble. 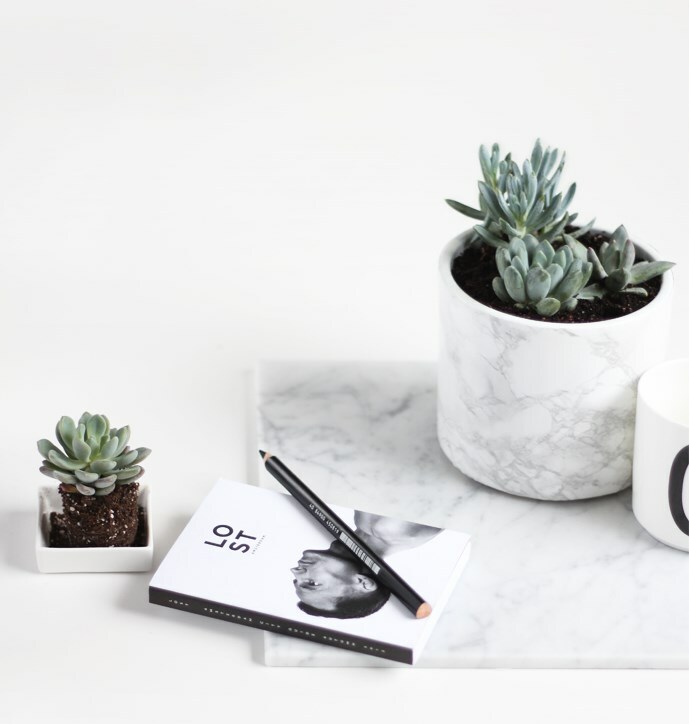 This DIY Marble Pot from MyDubio can be yours with the simple addition of marble foil/contact paper to your planter of choice. Doesn’t the finished product have an upscale look?! 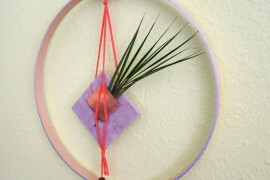 We know–the hanging planter section came at the beginning of the post. But this one showcases an assortment of today’s top trends, so we had to include it here. 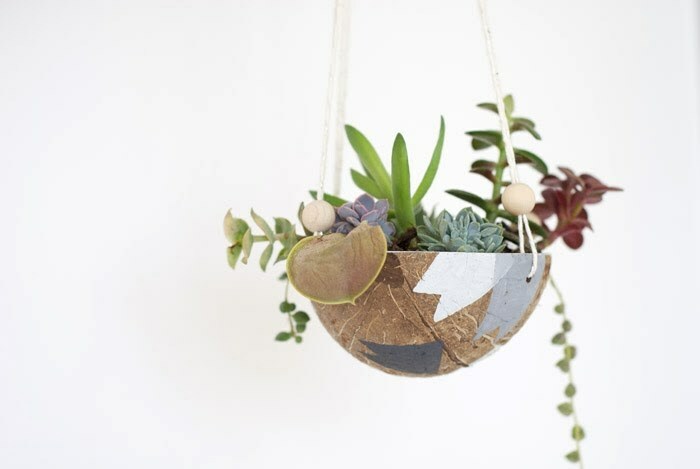 Say hello to the Coconut Hanging Planter from Poppytalk, created by Rachel of OH NO Rachio!. Natural materials–check. Succulents–check. Geo style–check. Not to mention, rope and beads! Sprinkles and confetti are first-rate party ingredients that are increasingly finding their way to home decor. 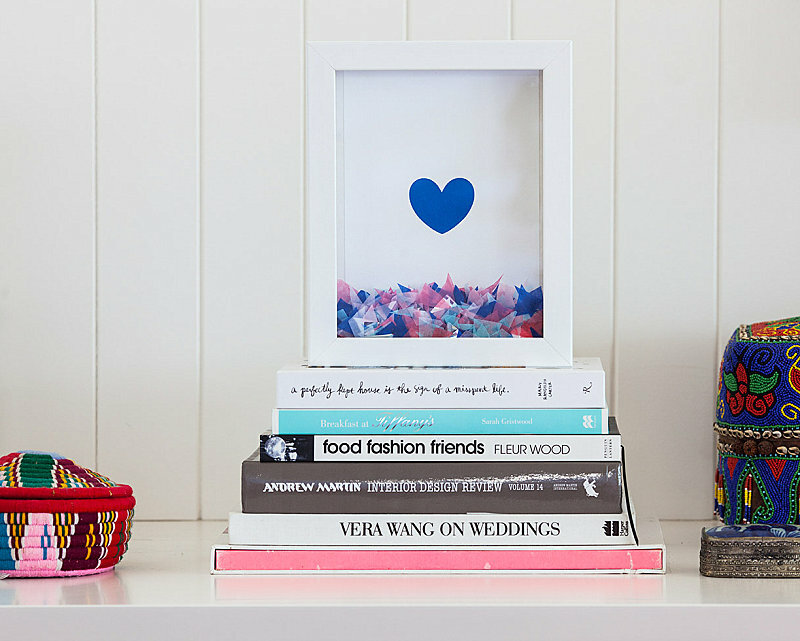 That’s why this DIY Confetti Filled Frame from A Pair & A Spare (created by Helen of Lovestar) is the perfect way to add a pop of color and festivity to your interior. I’ll end with a little project that’s perfect for fall. 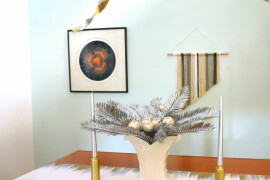 I spotted these DIY Gold Geo No-Carve Pumpkins at Lovely Indeed last year and knew I’d have to try out this strategy in 2014. 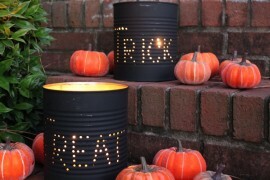 You can’t get any more convenient than adding metallic shine to a small pumpkin with a gold paint pen! I hope today’s round-up has inspired a heavy dose of creativity this fall. I know I’ll be trying out more than a few of these projects. Here’s to a stylish autumn!